Technology and the music industry haven’t always had the easiest of relationships. While many more people now make money from music than was the case just a few years ago, the move towards streaming has seen others seriously feel the pinch. But if the people behind TurnUp are to believed, it doesn’t have to be that way. The service, which is the brainchild of African content giant Endemol and powered by WeChat, aims to democratise the way new artists get into the minds of the public, while also ensuring that up-and-coming and established artists alike have a fair way to earn money from their music. Engage Me recently got the chance to sit down with TurnUp COO Thabiet Allie to find out exactly how it plans to do that. For Allie, the TurnUp journey is the culmination of a journey that started in 2007. Back then, at the dawn of the smartphone era, he was at MTN, which had joined forces with Endemol to launch a product called Music Exploder. Designed as a new artist discovery platform, it built up a database of around a thousand songs (some of which charted), but a number of factors – most notably the prohibitive cost of data at the time – meant that it never really achieved its full potential. From there, Allie moved to MTN’s chief rival Vodacom, before being appointed head of content at Samsung Africa. That, he says, allowed him to travel around the continent “investing in startups to link cool things to the Samsung brand”. It also made him think about how to create sustainable, exponential-level change in the African music scene. That, he believes, is something he’s found — at a South African level, at least — in TurnUp. It’s not hard to see why either. While it can be all too easy for tech startups to try and be everything to everyone, TurnUp is definite about what it’s trying to do. “Our purpose really is to create a disruptive music platform that supports local music,” he told us. The service backs those words up with actions too. According to Allie, TurnUp is “locally built, it’s fully locally run, everything is 100% local, including the tech”. The reason for that, he said, isn’t just out of a sense of patriotic duty, but also because it helps differentiate the service from international offerings. Being 100% local, he added, also means that artists are much more likely to be heard. “If you’re not one of the big South African stars, chances are you’re not really going to get your voice heard,” Allie told us. “So we looked at how we change that”. As Allie notes, however, it can be difficult to draw people to platform if they can’t find what they want there. That’s why, in addition to helping new and emerging artists, TurnUp has inked deals with established South African performers such as Euphonik, Nathi, and The Parlotones. “These are all big-name known artists and they’re using their social media to drive awareness of their music on the platform, but it’ll also drive awareness of other artists,” he said. Even with those kinds of names though, you have to give people a nudge any time you want them to use something new. Sure there were the usual social and traditional media campaigns, but the TurnUp team recognised that they’d probably need a little something extra. That’s why, at launch, TurnUp users were effectively given money to download tracks. Of course, none of that would matter, if TurnUp didn’t have a constantly growing roster of artists. 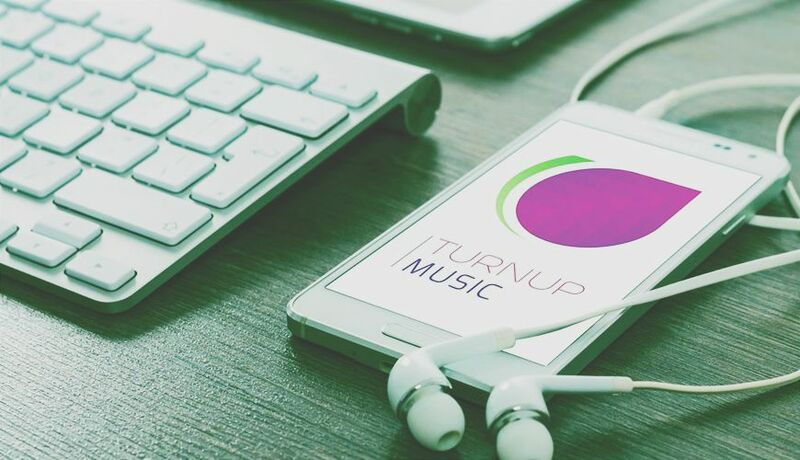 In order to encourage new artists to upload and promote their work on the platform, TurnUp has thrown in a number of incentives. If you get 100 downloads, for instance, TurnUp will submit your music to radio. “We can’t guarantee that it’ll get played,” Allie told us, “but we guarantee that someone’s going to listen to it”. Get to a thousand downloads and TurnUp will give you social media backing, get to 5000 and it’ll submit your track to the mobile networks as a ring back tone. According to Allie, another way the service aims to promote new talent is by punting collaboration with the established artists on the platform. An example of this is Euphonik and Zandra’s cover of “Fine Day”, which was available exclusively on TurnUp. “You’ll see more of that kind of thing, where it’s not about trying to make TurnUp the hero,” Allie said. “Music is the hero and the artist’s the hero”. It’s also tried to ensure that they get paid fairly, taking 70% of revenue on each track after VAT and recording association fees. At face value, it might seem a little odd that TurnUp chose to launch on WeChat, rather than as a standalone service. It is, however, something that an increasing number of services are doing and with good reason. As Allie pointed out to us, WeChat in South Africa is run with the backing of media and internet giant Naspers, which gives you reach into satellite TV, as well as some of the country’s biggest print and online media houses. “You can’t beat that kind of partnership, so as a partner to take this to market, it was a natural fit,” he said. “The other thing is that the [WeChat] team is exceptionally entrepreneurial in their approach”. Finally, building on WeChat eliminates much of the development cost associated with a standalone app. This in turn allowed it to keep download costs relatively low. 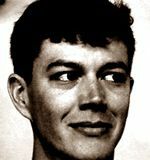 While that kind of ability could easily make a service cocksure about its role in the ecosystem, Allie is at pains to point out that TurnUp is only part of a wide-spread change needed to make the music world a fairer place. “If everyone works toward creating an environment that’s simple and easy, and has content available at prices consumers are willing to pay,” he said, “we’ll start to move away from the issues currently plaguing the industry”. That change isn’t necessarily just about eliminating piracy or ameliorating the current issues with music streaming, it’s also about educating artists on everything from legal issues around recording to how best to promote themselves and their songs. As it turns out, that’s actually something TurnUp is working on. “Part of our plan, as we move forward, and it’ll probably happen once we have a bigger critical mass, is to drive some of the education through what we’re doing from an entertainment perspective,” Allie told us. “There’s a great opportunity, especially with a digital scale, to provide tools that are freely available online for artists to edit their music or build music videos, maybe not to have a full music video, but maybe even just a lyric video”. Ultimately TurnUp is a reflection of a new reality in the music world. As Allie points out: “music labels can only deal with X many people per year. And if you have a thousand people with great talent and you can only look after 100 of them, you can only look after 100, that’s the capacity you have, you’re not going to have bigger reach”. “Through digital, and especially through empowering artists you use social media and other tools better, there’s the opportunity to get to a point where artists can manage and promote themselves”. Whether TurnUp takes the lead on that remains to be seen, but with the backing it has, the service surely has a better chance than most.